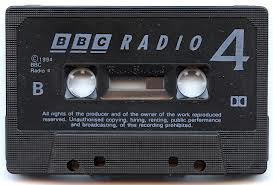 The BBC reports on a record shop in London which has started stocking cassettes again. The question is asked; is this simply a gimmick, a trick to capture the market for nostalgia? The answer comes as a surprise for, while acknowledging that this is certainly an aspect of it, there is a serious market for cassettes on their own terms. My initial reaction is one of part disbelief, part horror. Of all the multifarious media developed during my lifetime for the transmission of recorded music, the cassette has to have been one of the least loved and its demise one of the least lamented. It had the value of portability in an age when recorded music, other than on a radio, simply was not portable, but as soon as the CD emerged with its almost comparable portability, the cassette died a rapid death. Let's face it; it offered the serious music lover nothing. Impossible to identify individual tracks or passages on it, prone to jamming and twisting (every road verge in the world seemed to be littered with long strands of unwound cassette tape thrown, in frustration, from car windows once the mangled tape had been forcibly ejected from the player) and accompanied by a horrible, pervasive hiss which largely disfigured the music on it, it's amazing we accepted its horrors for so many years. We can now take a lot more music with us when we travel (if that's your idea of fun), we can hear it in better quality sound, we can access it much more directly, and it generally withstands considerably more punishment than was ver meted out to the cassette. So why, when it had just about disappeared off the face of the earth (and its dramatic drop in production over the space of a couple of years bears testament to its fundamental weaknesses, all of which have been conclusively eradicated by the replacement media) should it be making a comeback? Ah! The 78 - Happy Days! I look back on a veritable plethora of recording media. 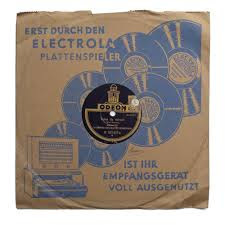 My first encounters with recorded music were on 78 rpm shellac records on my parents' wind-up gramophone. I can still feel that soft felt cover on the turntable and feel the well-oiled, sublimely smooth wind-up mechanism, the dumpy spindle and the thick, black record with its concise central label and its paper sleeve. Ah! The 78! It not only generated a whole genre of music (pop music owes its origins to the playing time of a single-side of a 78 - around 2 and a half minutes), but so defined people's listening that even today many of us feel it has a place in modern-day listening experience. For my part, I love the Andrews Sisters, but only on 78: put them on CD and they leave me cold. 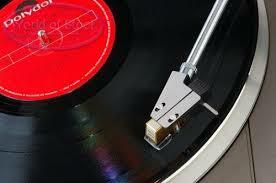 Then came the 45 rpm. Little 7-inch non-breakable vinyl discs with the same playing time as the 78 but much more durable and played on electronically operated machines; no more winding those up. I remember those records which did not have a central spindle hole but the entire central core was missing (they were designed for juke box use) and how, when you bought a record player, you also bought a plastic device to click into the hole so that you could play it on a domestic player. 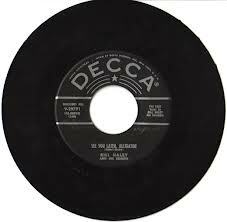 I have a sentimental attachment to these - my first records were 45s (including Barbirolli conducting The Wasps Overture, the Melanchrino Orchestra playing heavily edited "highlights" of Ravel's Bolero and, of course, Fernando Germani on Selby Abbey playing Widor's Toccata). But it is just sentimentality that makes my memory linger lovingly over 45s; they were pretty hopeless for carrying music as I wanted to hear it. It most certainly is dead! Then for me came the 33 (chronologically, of course, I've got it wrong - but this is the sequence in which I came across them) and, with its 25 minute playing side, its stupendous sound, its wonderful covers with copious sleeve notes (from which I learnt much of what I still know about music) and, of course, its durability, it seemed the acme of recorded music. For many it still is, and it is a fact that sales of vinyl 33s outstrip sales of CDs in some markets and that the production of vinyl LPs is growing worldwide. That tells us that there are aspects of the LP which have yet to be superseded by new technologies. Then came quite a crop of short-lived media for dissemination of recorded music. We all had a domestic reel-to-reel tape-recorder, but who now remembers the pre-recorded tapes you used to be able to buy to play on these? The chunky and ungainly cartridge (I had a factory-fitted cartridge player in my old Mark II Ford Cortina back in the 1970s), and a whole host of variants of the magnetic tape. It was the Cassette (or Compact Cassette to give it its proper title) which won over all of these purely because of its portability; something emphasised when Sony brought out the Walkman and thus made real the dream (nightmare?) many people had had of music being able to be with them anywhere, anytime. With the CD, the demise of the cassette was inevitable. Early versions of the Sony Discman (the CD playing brother of the Walkman) suffered from a tendency for discs to jump when the player moved, but this was quickly and effectively solved, making it every bit as portable as the cassette, and a darn sight more useful because, in my experience, a CD has never got stuck, damaged or destroyed in a player. Of course, that didn't stop people looking further. 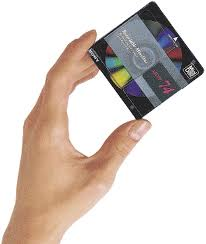 Remember the mini-disc? Probably the shortest-lived recorded music media in history, which came and went within a time frame measured more in months than years. Who now remembers the Minidsic? For some, the CD is dying; but as yet nobody has come up with a suitable replacement and nobody will for a few more years yet. You can have portability, accessibility, reliability and quality in lots of new media, but none yet brings all four characteristics together in a single device. So is this move to resurrect the cassette an attempt to fulfil something which is missing from the CD? As I say, the answer given by those interviewed on the BBC surprised me. The great value of the cassette above those media which have replaced it is, apparently, two-fold. 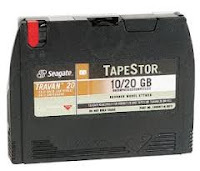 Firstly, as one aficionado put it; "You can't carry too many cassettes around with you so you are forced to make decisions about what you want to hear and then you hear it over and over again", and secondly, as a die-hard cassette fan confessed; "You have to listen all the way through it. You can't jump from track to track or item to item. So you get to hear the whole music, not just little bits". I would never have thought that, but how right it is. With CDs we can jump past bits we don't like, replay bits we do, and with the pocket devices which carry vast numbers of "songs" I wonder whether the sheer amount of material available to the "listeners" means they never actually listen to any of it, and merely hop from one favoured morsel to another. I once had several hundred cassettes and threw them all away only when I sold my last car; which had a cassette player in it (a clever Volvo thing which had a cassette player, CD player and USB port all in the one machine). My last domestic cassette player, which I had bought quite literally off a trading dhow in Sri Lanka - the packaging indicating that it had been intended for an altogther different market and probably had been transferred to a Colombo-bound vessel somewhere in the middle of the Indian Ocean - having given up the ghost many years previously. It never occurred to me that I would ever regret this, but I wish I still had one or two cassettes and the means to play them; I suddenly realise it's a very long time since I've actually sat down and listened to a recording for pleasure from beginning to end. Perhaps only the cassette forces us to do this and, if so, is its reappearance something to be welcomed?